Not looking for red carpet or curtains? We can swap it out for another color like royal blue, deep purple or bright pink to customize it to your event. 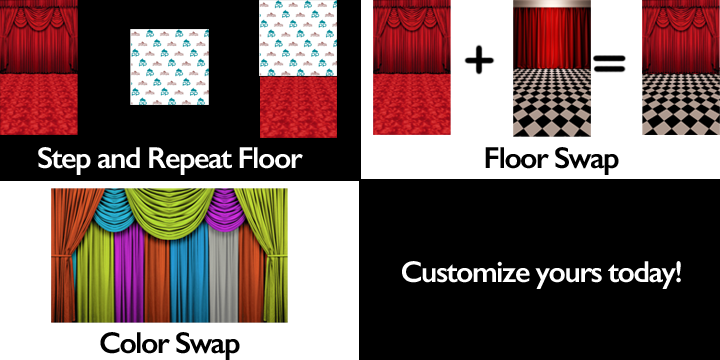 Our durable fabric backdrops are 3D and non glare and come in 3 styles. No need to rent expensive backdrops and actual red carpets. All you need to provide are the celebrities!